What is it? Care Net's Baby Bottle Campaign is a fun and easy way for churches and groups to join us in transforming and saving vulnerable lives in our community! When? Most churches participate from Mother’s Day to Father’s Day while others tailor it to fit their church’s or organization’s calendar. What should I know about the Baby Bottle Campaign? Many area churches and a few community organizations partner with us by distributing empty baby bottles to people just like you! Individuals and families take a bottle home, fill it with coins, cash or a check and return it at the end of the campaign. Your spare change brings help and hope for the moms, dads and babies we serve. The Baby Bottle Campaign is a fun way for the whole family to get involved in making an eternal difference in the lives of others! Kids love to help fill the bottles and it’s a great way for them to help the next generation. How do I participate? The Baby Bottle Campaign is simple to administer and we’ll provide you with everything you need! Request baby bottles and resources by downloading this request form and emailing it to Diane. If you’d like a guest speaker to help promote this campaign, click here. How do I know if my church or organization is participating? Contact Diane, Church Outreach Coordinator or by phone at 608-259-1606 ext. 218. She can help you bring the Baby Bottle Campaign to your church, school, club or business! Special thanks to our Champion Sponsor! Attendees of the 2018 “Oh the Places We’ll Go” Banquet were promised a “big surprise” and they were not disappointed. Liz Osborn announced the launching of our newest venture and response to God’s call to “go”: a new mobile clinic. Audience members were delighted to see a curtain slowly rise to reveal a large photograph of what the new mobile clinic, launching in fall will look like. If you missed it, click here to watch the show. We were pleased by the generosity of God’s people, who donated nearly $240,000 in much needed operating funds to support all of Care Net services. A special thank you to the underwriters who have provided 100% of the costs for the evening, allowing every dollar donated the night of the event to go directly toward Care Net Programs. See a list of sponsors. Mark your calendar for the next Banquet which will be held on November 14, 2019 at the Monona Terrace. Celebrating Life - this special mom shared how Care Net helped her choose life. January 20 marks the anniversary of our Supreme Court's 1973 decision to legalize abortion throughout the United States -- the devastating decision that has led to millions of lives being lost to and touched by abortion. Every day in Dane County, two babies lose their lives to abortion. Their mothers feel they have no other options. And if that baby is a minority? Their chance at life is even slimmer. The abortion rate is two times greater for babies who are Hispanic and nearly four times greater for babies who are black. This injustice has to stop. And it can, with your help. There is hope. Every day in Dane County, Care Net is there to offer help, hope and healing to women, men and families facing unintended pregnancies. Spread the word. Ask your pastor or church leadership if they would take five minutes to highlight God’s view on the Sanctity of Human Life. Pray for those facing unintended pregnancies. For those who are carrying their babies to term even as they face hardship and ongoing struggles. And those who are living with the sorrow of past abortions. Join us in proclaiming the value of every life on Sanctity of Human Life Sunday. This year on January 20th we join with others across the country to lament the tragedy of abortion and the millions of lives lost to it. 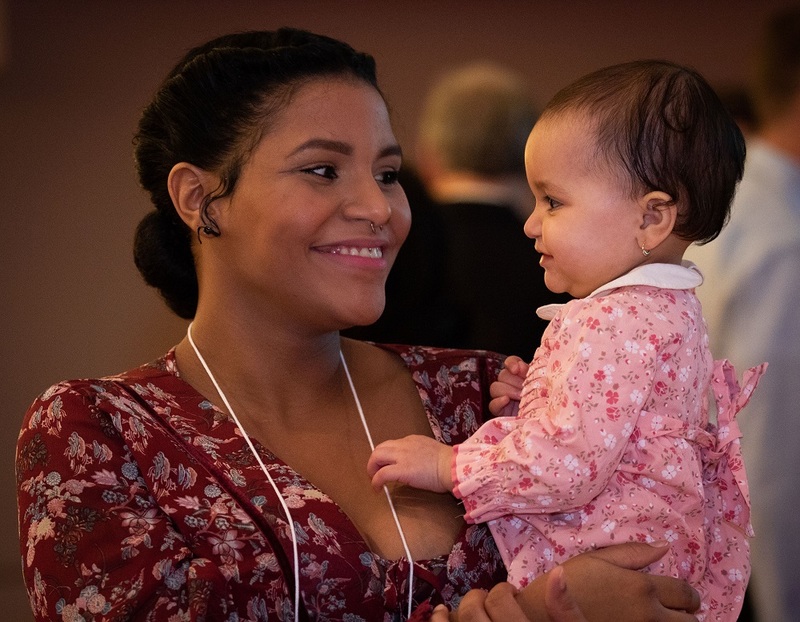 Sanctity of Human Life Sunday provides an opportunity to involve your church, Bible study, or group in bringing life-affirming resources to your faith community and to empower women and men to choose life for their unborn children. Together we are saving lives, one mom, one dad, one baby at a time! To request a speaker or resources complete the online form or contact us. To find out more, contact Diane at 608-259-1606 or via email. Contact us today to be included in our YEAR long observance. Request a Speaker: To request a speaker, please indicate preferred topic, preferred date and length of time for guest speaker. Plan to show video: Which one? I plan to use an online video link. I would like an mp4 file.